Conservation of Period “Life” Cast of Venus de Milo. Removal of non-original addition of belt on Venus. Presumably, if you were to stop by the Louvre and attempt to make a plaster cast of the original Venus De Milo, security would have something to say about it, and no, they probably would not bother to refund your admission fee. This plaster cast restored by Keropian Sculpture of Carmel, New York, is over 200 years old, taken from a mold that was taken from the original marble. At the time, such full scale casts were produced and distributed to schools and museums as part of a system of understanding art and culture. As such knowledge fell into disfavor, in the modern era, these castings became redundant. This particular example belongs to a collector who requested that Keropian address some insults that the work had received over time, which are spec’d in detail at the link. And per Mr. Keropian – – NO, a laser scan of the original is not as accurate as a real “live” casting. 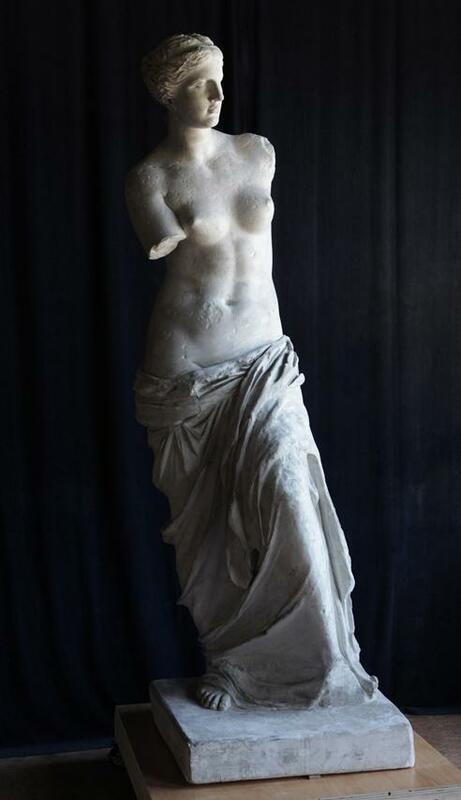 Restoration of full scale historic plaster casting of the Venus de Milo. This entry was posted in Fine Art and tagged Marble, New York. Bookmark the permalink.